I sat down to type up what I did the first week of 2nd grade, but a few thousand words later, I’d only covered the first day! So it seemed like we probably needed 2 posts on that topic. If you want to know how I organized the first DAY of 2nd grade, check out this post. If you want to know what I did the rest of the first WEEK of 2nd grade, just keep reading! There are so many fun, cute, clever back-to-school ideas it can be hard to narrow down what to use. The activities you select are less important than the reason you select them. Define your goals for the first few days of school and select the activities that support those goals. For me, I determined my most important goals for starting school. I refer to them as ATTA BOY: Affirming, Training, Teaching, Assessing at the Beginning Of the Year. Creating a peaceful, welcoming space. Being clear with my expectations so students know the boundaries and limits. Recognizing each student as an individual. Providing time for fun and community building. Knowing ahead of time how I want things to run in my class. Clearly teaching rules and procedures. Providing opportunities to practice routines. Offering feedback, praise, and support as students undertake procedures independently. Working toward an established daily routine. Making students aware ahead of time of the consequences for positive and negative choices. Building stamina for time on-task. Getting the first lessons underway. Reviewing 1st grade material before diving into 2nd grade content. Formal testing in literacy and math. Grouping students for small group support. Making observational assessments of academic and social strengths and struggles. Monitoring how well students are able to meet expectations. Establishing interventions as early as possible. Want to create your own goals for ATTA BOY: Affirming, Training, Teaching, Assessing at the Beginning Of the Year? Click here to download our ATTA BOY Goal Sheet. I’m not going to share an hour-by-hour break down of the first week of school (like I did for the first day), but I’ll explain the activities I made sure to incorporate the first two weeks and explain why I feel they were so important. We practice our morning routine the afternoon of the first day. I want them to know exactly what to do when the arrive in the morning. The first few days, I make sure I’m stationed by the door during arrival so I can welcome, remind, and redirect. I have students do attendance, lunch count, and answer the Morning Message. They can then play, read, or get breakfast until the bell rings. At that point, we get out Morning Work. It takes some training, but after a week or so, students can complete the page independently. They then can get a book tub for the table and read until it’s time to start the day. The importance of a predictable, efficient morning routine can not be overstated. It’s vital to the success of your classroom to make intentional decisions about starting the day. create a peaceful, welcoming environment. A productive morning routine sets everyone up for a successful day! Because spiral review is one of the best ways to boost student achievement, I make sure we get it in every day with our Morning Work practice. Once our Daily 5 stations are up and running, they’ll transition to their first station once they finish their Morning Work page. But for the first month or so, they read from the tub of books at their table while I finish attendance. After Morning Work, I introduce our Morning Meeting routine. We recite the poem of the month (posted on the wall) while cleaning up Morning Work and transitioning to a circle at the rug. For the first couple weeks, I introduce each student to the class. “This is my new friend Lily. Everyone say good morning to Lily. Lily, what is your favorite color?” The introduction gets briefer after the first couple days, but I continue asking students a simple question (favorite food, how many siblings, favorite animal, etc.) for a few weeks before introducing the Sharing component of Morning Meeting. Instead of a game, we learn some songs at first. Action songs like Tooty-Ta and My Aunt Came Back are always favorites. Then we discuss the Morning Message. We end with a few seconds of closed eyes and deep breathing. Morning Meeting is an important part of developing our classroom community. It gives us a chance to get to know one another as individuals. It creates a sense of belonging and is a peaceful transition into the academic portion of the day. The deep breathing really helps focus the energy in the class. Particularly if the kids are worked up after the game or song. With some groups, I’ve ended Morning Meeting with a brief guided meditation because they needed a LOT of refocusing. On the second day of school, we do lots of fun activities involving the number 2. You can read all about our activities in this post about Two Steps Forward–Celebrating the 2nd Day (or 2nd Week!) of 2nd grade. 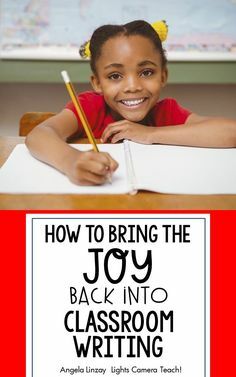 The first day has such a focus on rules and procedures and just getting used to being back in school that everyone could use something lighter by Day 2. So we do lots of fun things: center rotations, stories, craftivities, glyph and graphing, games, and work pages (which students actually really love!). While the focus on these activities is having a fun time, it actually serves some important purposes. First, it helps with that affirming goal. By having fun together, students feel more at ease and welcome in our classroom. We’re developing an identity as a community. They can get to know me a little better. Second, we’re working on training for rules and procedures. They’re learning how to work together and I’m establishing and reinforcing all those expectations we’ve been practicing. Third, this gives me some informal assessment opportunities. I can see who is struggling with the work pages (which are a first grade-level difficulty). I can start to zero in on potential behavior problems or kids that might need some help with social situations. Or course the kids don’t realize any of this–they’re just having fun! We spend 2 days doing Guided Discovery of math tools. I set up centers around the room with different math material (geoboards, pattern blocks, Unifix cubes, counting bears, balance scales, etc.). I try to have enough stations for groups of 3, but sometimes I have a group of 4 (definitely not more than 4 though or the groups become too chaotic!). The timer beeps after 6 minutes. Each group has 1 minute to clean up and then stand up and look at me as a signal they’re ready to rotate. Then they switch to a new material. We discuss guidelines, but I don’t do a whole Guided Discovery lesson of each individual math material. Students are allowed to engage with the materials however they wish. We discuss how to be a good partner, what to do when conflicts arise, and how to work as a team. Math should be hands-on, engaging, and problem solving based. We use a lot of tools and manipulatives and frequently work in small groups. By setting up math rotations, they’re learning the procedures necessary for working in groups. 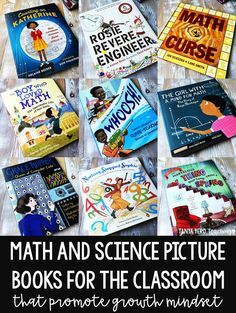 I want them to see the math materials as tools. 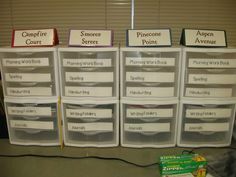 These stations give students a chance to get play out of the way so when we’re using them for a lesson they can focus on the math and not the cool thing they can try. At least, that’s the goal. We begin by talking about all the things we can do, things we love, places we’ve been, memories we’ve had. For the first few days, we record those ideas on graphic organizers. Over the next month, I teach all the routines around our writing time. If we want independent, successful, engaged writers, we have to give them ownership over their content. For that reason, I don’t use writing prompts during this time. I’m mentoring authors, so I need to make the writing experience as authentic as possible. Full confession: writing is the trickiest part of the day for me. After 12 years in 2nd grade, I still don’t feel like a confident writing teacher. No More I’m Done by Jennifer Jacobson is a great resource if you struggle teaching writing as well. On the first and second days of school, I take my class out for a private recess when the playground is empty. On the second day, I introduce our recess equipment (basketballs, jump ropes, etc. ), how to check them out, how to care for them, and how to return them. Starting the third day, I send my class out with the other classes. I want to make sure everyone is solid on playground rules before turning them loose. I really hate wasting time on recess problems, so I try to eliminate as many as possible before they have time to start. Over the course of the first two weeks, I slowly introduce the materials we’ll be using in our classroom (crayons, scissors, glue, etc.). You can read all about how I introduce them in this post about Guided Discovery of School Tools. We continue to revisit, review, and rehearse lunch procedures for the first week. There are a LOT of procedures dealing with lunch time and most of them are completed when I’m off eating my own lunch. I want them independent at this as soon as possible, so we keep practicing even though they’re sick of it by Day 3. Beginning on the 3rd day, we start our Hopes and Dreams discussion. This is straight from the Responsive Classroom and we’ll spend a few days discussing, setting goals, and drawing. You can read about Hopes and Dreams here and here or in the First Six Weeks of School book. Again, I’m focused on creating a welcoming, student-centered environment. This activity honors students as individuals and how we combine to form a supportive community. In a few days, we’ll use our Hopes and Dreams discussion to generate our class rules. We begin by looking over our Hopes and Dreams and I ask what rules our class will need in order to allow for us to achieve our hopes and dreams. I note student suggestions on Post-It Notes. Once all the suggestions are recorded, I point out that we have a lot of rules on the board. Could we combine any of them? We start to make groups of rules that go together. The next day, I share posters or sentence strips of our 3 rules (usually, be respectful, be responsible, be a friend, or some variation of those). Then I give the kids a 3×3 card to illustrate themselves following one of those rules. I post the rules and the illustrations on the wall for revisiting as the year goes on. Responsive Classroom, of course, has lots of great resources for establishing and reinforcing rules. You can read about them here or in the book Rules in School: Teaching Discipline in the Responsive Classroom. Regardless of reading level, I put a stack of 6 picture books in each student’s book bin. We talk about reading behaviors. I dismiss students to get their books and I assign students spots around the room for reading time. While students read, I return to my reading table and set a stopwatch. I try to appear busy, but am really watching students. As soon as I see a student off-task, we end reading time for the day. Students bring their books back to the rug and we graph how long we were able to read. We may try a second time to see if they can push themselves to stay on-task a little longer. This is all beautifully laid out in the book The Daily 5: Fostering Literacy in the Elementary Grades by Gail Boushey and Joan Moser. Seriously, they have incredible ideas for establishing your literacy routines! Even though I don’t use Read to Self as one of my Daily 5 rotations, I use their recommendations to launch that routine. Read about how I do Daily 5 in this post. After school, I rotate the books in the book bins so everyone has new books for the next day. Once I have my benchmark data and students are reading for a longer stretch of time, I’ll invite students to meet with me at the back table. We discuss their identity as a reader and I teach them how to get books from the class library. I teach this one-on-one because I have three sections in my class library and I want to make sure they know exactly what’s expected of them at their level. After students have selected books from the class library, I don’t switch their books out anymore. They’re called back to the library about once a week to switch out their books. My goal is to build students’ reading stamina till we can read for 30-40 minutes. 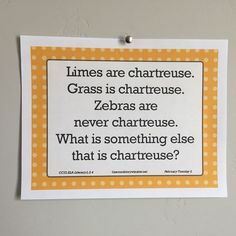 And, yes, 2nd graders can do that! But they don’t start off there–we have to build slowly. I want to allow student choice, but I don’t want to waste 30 minutes of the day with my lowest reader trying to plow through a Magic Treehouse Book. I make those books available at other times of the day to all students, but during this time I want students practicing near their independent levels. So they’re assigned certain sections of the class library to select books from (delineated by colored dot stickers). At my school, the primary grades only have morning recess. However, for the first week of school, I continue to take students outside in the afternoons. During this time, we play a whole class game. I teach them games to give them additional recess choices besides the default girls chase boys (or boys chase girls!). Also, since everyone is learning the game together, everyone understands the same rules. The aim is to prevent future problems. One afternoon I teach our fire drill procedures. Another afternoon (usually during the 2nd week of school), I introduce our assembly procedures. At our school, both of these situations have specific expectations. It’s just too chaotic and stressful to teach them in the moment they’re needed. I begin teaching the routines we’ll use all year: word sorting, Jargon Journal cards, Chunk Spelling, and Daily 5 stations. I teach them like any other routine with Tell, Try, and Tally. I explain/model, they try, they evaluate how well they did. I want to establish a routine as quickly as possible, so I start teaching these routines at the times of day when they’ll be completed. We do them whole class for the first few weeks, but I gradually release them to work independently. Of our routines, Daily 5 definitely takes the most training. I start with one station and when they reach 7 minutes of on-task time (we graph it just like we do with reading stamina), I introduce the next station. How long this takes depends on the nature of that particular class. The goal of social studies is to create positive citizens. These sorts of lessons geared to our classroom community are really life-skills that will extend to the wider world. Students with assigned jobs get to work while the rest of the class gathers at the rug for a read-aloud from a chapter book. On Fridays, we end with a closing circle instead of the read aloud. Students each share something they’re proud of or something they liked from the week. Next, we all think of a wish, whisper it into our cupped hands, and then release it to float up to the ceiling where they’ll be waiting for us to come back next week. Then we all do the class cheer. I like ending the day with everyone together. Plus, reading aloud gives us the time flexibility we need at the end of the day. For the closing circle, I love ending the week with such a positive note. It’s really one of my favorite moments of the week. I hope this post has given you some ideas about how to maximize your own first week of school. Be intentional with your choices and make it the best beginning for you and your students!